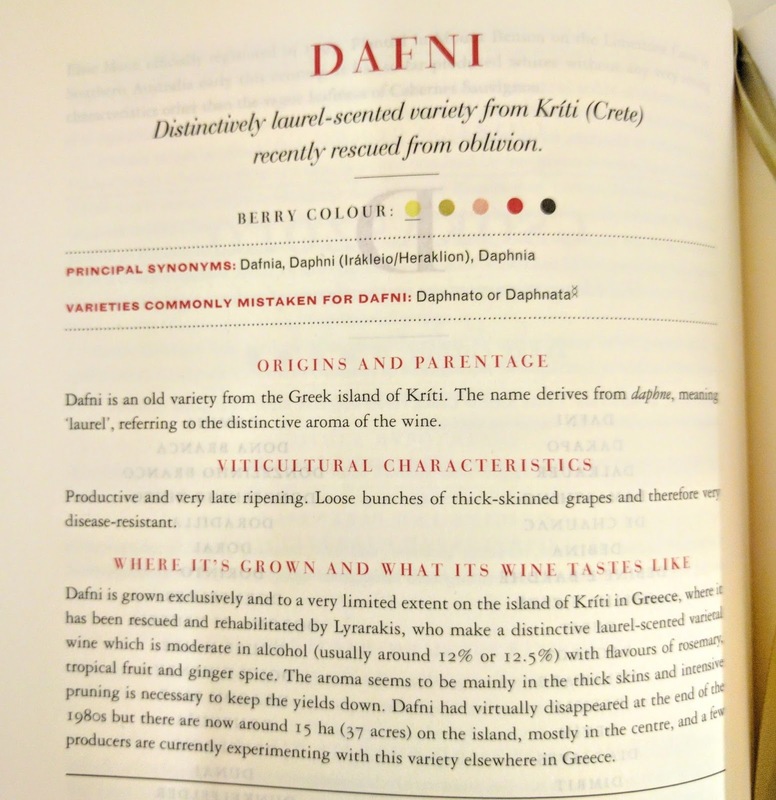 A few years back I received the wonderful gift of Wine Grapes : A Complete Guide to 1,368 Vine Varieties, including their Origins and Flavours, by Jancis Robinson, Julia Harding, and José Vouillamoz. Nose: Vermouth, bay leaves, herbs. slightly sherried. A green, nutty note. 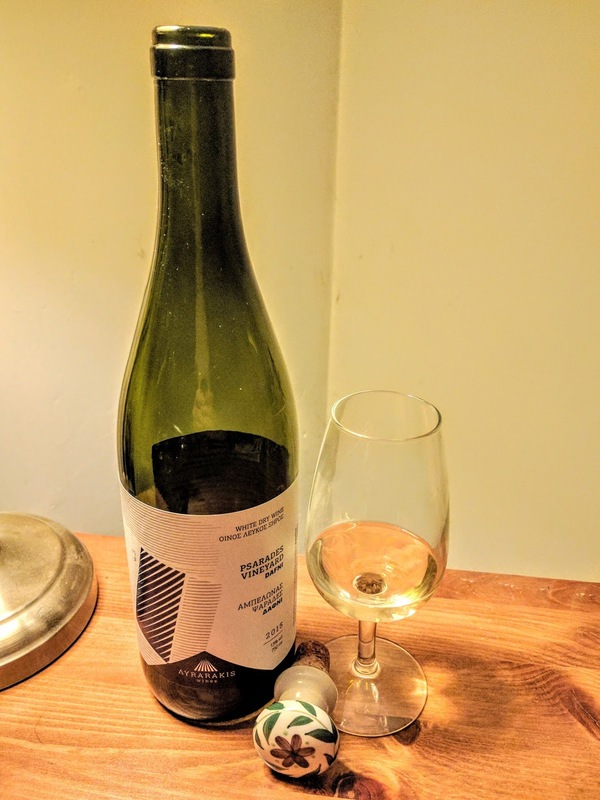 Palate: Dry, mid- bodied, mid acidity, mid alcohol. Herbal, green, bay leaves. Very very distinctive, unusual, delicious. No kidding, this wine tasted remarkably like Noilly Prat. It was delicious. 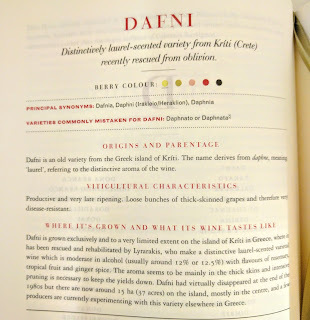 So anyway, turning to Wine Grapes I learned that Dafni is a variety from the Greek island of Kríti (aka Crete), which had all but disappeared by the end of the 1980s. Fortunately, Lyrarakis, the producers of this lovely wine, continued to cultivate it, and is now back up to around 15 hectares. It seems that it needs to be intensively pruned for low yields in order to give these lovely flavours, which is perhaps why it fell out of favour. I'm so glad it survived. I don't suppose I'd want to drink it all the time, but for a food-friendly change of style it's just about perfect.